It’s a snapshot from the darkest chapter in human history. A crippled slave ship, dismasted in the heart of the Middle Passage, comes to resemble a hellish island where there is no escape from the suffocating heat, from the circling sharks, from each other. But there is something else in their midst. Something ancient. Something evil. Based on real events from the slave trade era, this intelligent approach to the zombie origin pursues a fly-borne plague to its African roots through a series of letters, log entries and balanced narratives from European and African perspectives, to an ancient pact forged between a dying Vodu witch and Sakpata, the god of disease. The product of the dark bargain is a creature both beautiful and terrifying to behold, relying on bloodsucking insects and a booming slave trade to spread its bloodline overseas to the shores of its new homeland, an island known as Hayiti. A harrowing, no holes-barred historical horror fiction tale of epic proportions. Vincente Madeira finds himself aboard an interloper ship, The Redlowe, but when the prertores catch up and take over the ship he is thrown in with the female slaves. 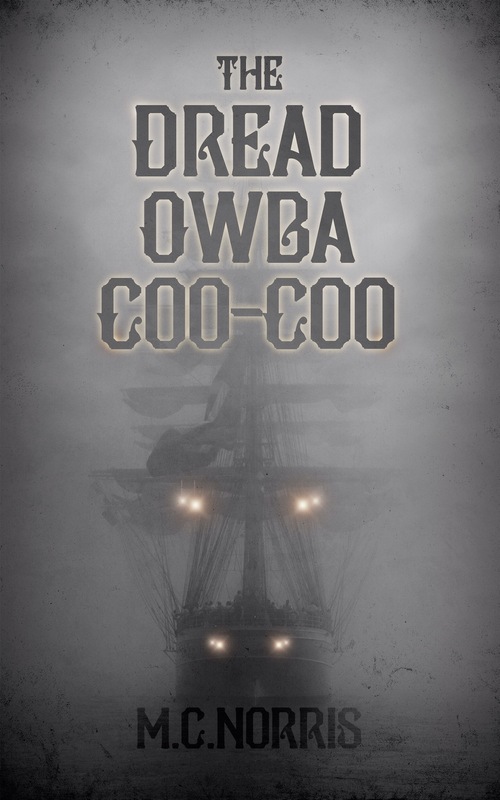 However, Vincent’s has suffered quite an ordeal before he came to be aboard what the slaves call The Dread Owba Coo-coo, and he comes face to face with his past in the female slaves’ baracoon. Graphically descriptive this novel is in equal parts horrifying and scintillating. The story relentlessly compelling and driven forward in a narrative that captures the time and put you right there on board The Redlowe and her crew. Not a horror to be sped through this novel requires time and attention until its very end. Vincinte Madeira is escorted down to the Main Deck. They’ve moved a furnace down there, where a heifer is being butchered. Kettles of rendered fat boil and froth over their rims. Kneeling tanners rise and fall upon the hides like Mohammedians, scraping their fleshing blades with the regularity of lapping waves. Sailcloth is spread all around them, beneath heaps of boned flesh and innards. It looks as though a cow has exploded. Madeira’s gaze climbs the walls to the Quarterdeck, where the gray-green corpses of those three unruly Negroes continue to sway from stretched necks, their bellies distended like wormy pups. They turn on their shoulders with the rhythm of the ship’s lilt and pitch, like a troupe of necrotic dancers depicted on some painting from the black plague era. As the Redlowe crests a wave, all three corpses leap from the wall to kick up their feet and clap their putrid hands. “Vin-ciiiin-taaaay!” High above, Joaquim waves from the Quarterdeck. Guardsmen seize Madeira by his upper arms and drag him on his heels past the furnace of boiling fat. There, they bind his wrists and ankles to the great stump of their fractured masthead. Joaquim disappears from the sky’s edge. Below, an accordion player picks his way through the piles of boned meat, eyes closed, pumping away at his queer instrument as if he were strolling the starlit boardwalks of some Venetian canal. For Madeira, the odor of rendered fat is richly nostalgic. The brothel where his mother worked served a chowder of shellfish and beef marrow. On the days the marrow was rendered, the brownish bovine essence would permeate every fiber of his clothing. He would smell it for days after the last bowl had been consumed. It was disconcerting to consider that although the last scrap of the bygone beast had been ingested, its spiritual presence lingered still on the longcoat of the son of a whore. Joaquim appears atop the ladder, following the Slavemaster, Duarte Davila, down to the Main Deck. Madeira closes his eyes and breathes savory steam in and out through his nose. His heart rate quickens. Spanish spurs ring over the braying accordion, and ever more sharply as the Slaver draws near. The bootsteps stop, a short distance away. Madeira opens his eyes. Smiling, Joaquim slips through the steam behind Davila. He creeps past the row of bobbing tanners toward the pile of boned meat. The Slaver withdraws a cat-o-nine from his sash. He presses the coils of leather to his nose, inhaling with such ecstatic force as to suggest the braids contained the antidote to a malady with which he was afflicted. The whip’s tails, black as the heart of Africa, glisten in his fist like a nest of vipers. No doubt, he tanned this leather from the hide of some unusual beast, for nothing about this scourge of humanity be affected with the ordinary. Unlike the ephemeral odor of a bull rendered to chowder, the spirit of whatever black-skinned creature was immortalized into the coils of the Slaver’s whip should outlast the remains of its screaming victims. Woven into its oily braids are ivory stars of intricate design, likely whittled from the same bone from which the weapon’s handle was fashioned. ‘Tis about the girth of a human femur. “I’ve no airthly idea what you mean, pirate.” The Slaver grins. “I’ve acquired no journal.” With a delicate flip of his wrist, Davila unfurls nine braids across the timbers. M.C. 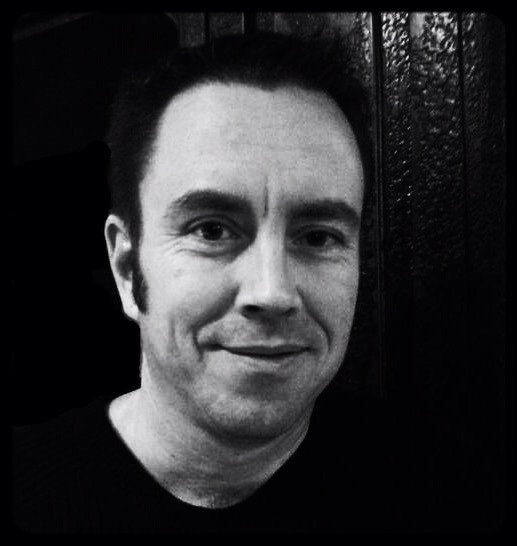 Norris is an Active HWA member, whose first four novels, all published by Severed Press, are slated for release in fall of 2014: Deep Devotion (09/01/14), Krengel & the Krampusz (11/01/14), The Dread Owba Coo-Coo (11/15/14), and Nod (TBA). His nineteen short stories have appeared in numerous anthologies, magazines and e-zines, including: Withersin, Wrong World DVD, Brainharvest Magazine, Pseudopod, Malicious Deviance, and Dead Bait. M.C. Norris also won 5th in Chizine/Leisure Books 13th Annual Short Story Contest. Enter to win a $25 Amazon gift card! Open WW, 12/8/14 – 1/5/15. Sounds like an interesting topic for a book! Definitely and so well written by an expert with quite an imagination. I am always interested in reading about the slave trade because it was a low point for humanity and I know my ancestors were involved. Thanks for sharing!